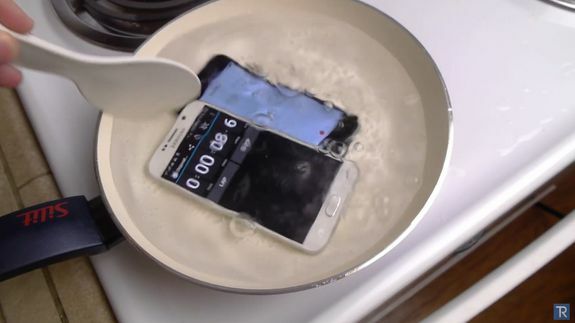 It’s pretty common to see crazy YouTubers perform cringe-worthy drop tests, blend tests and even gun tests on new smartphones, but a boiling water test? On the iPhone 6 and Samsung Galaxy S6, two phones that aren’t even water-resistant or waterproof? Now, they’re just grasping at straws.